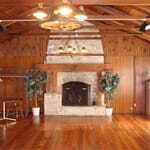 Our Timber Lodge is a great place for a meeting or gathering of 150 people or less. 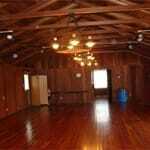 There are 2 large rooms for entertaining. One measures 46' by 24' and the other says 40' by 24'. One with this beautiful stone fireplace. 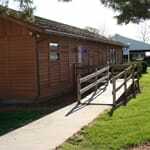 There is a small kitchen and two restrooms. This building is handicap accessible. 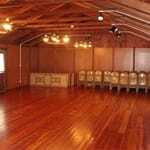 ​Our Timberlodge rents for $300 per event. You can have access for additional days before or after your event for $50 each day. 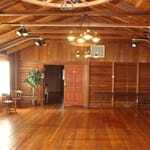 For smaller events, you can rent the Timberlodge for $150 for a 5 hour rental. 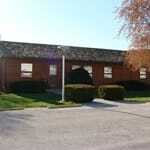 Call Ronda at the fair office 217-488-2685 or at 217-899-4566 to book this building. A $50 deposit is required.